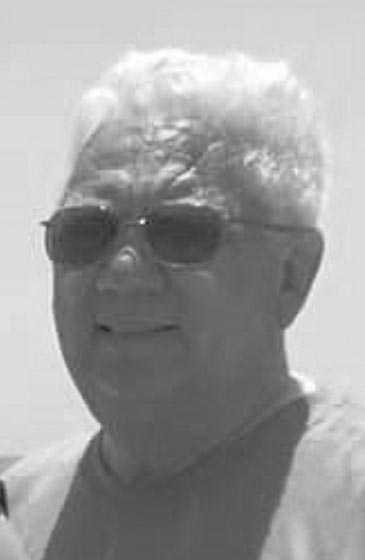 MUNISING, MI – Maynard Jerome Robbins, Jr., age 80, of Munising, died late Sunday morning, April 7, 2019 at the D.J. Jacobetti Home for Veterans in Marquette, Michigan. He was born in Munising, Michigan on September 3, 1938 to the late Maynard and Emma (Kaminsky) Robbins. Maynard graduated from Wm. G. Mather High School in 1956. He then entered the United States Army. Following basic training he married Marlene Barbeau and together they raised their three children. They lived in Alaska where Maynard was stationed working as a heavy equipment operator, and together they managed the trailer court where they lived. Maynard was honorably discharged in December of 1959 as a Specialist 4thClass. Maynard attended Northern Michigan University and was certified in data processing. He worked many jobs in many places: American Motors in Kenosha, WI, Standard Oil in Munising, Drott Manufacturing in Wausau, WI, Ansul Fire Suppression in Marinette, WI, and Mead Paper Mill in Escanaba, MI. Following his retirement from data processing Maynard began working as an apartment manager for Willow Creek Apartments in Escanaba for seventeen years, and then after moving back to Munising he managed the Chatham Manor. Maynard was a member of Eden Lutheran Church in Munising, and was very active at Emanuel Lutheran Church in Escanaba, and First Lutheran Church in Gladstone. Maynard and Marlene volunteered as church youth group leaders for many years, taking kids on adventures to Great America, concerts, four national youth gatherings, and many trips to Fortune Lake Lutheran Camp. Maynard also enjoyed fishing and taking his sons hunting when they were young. He was a son, loving husband, awesome father, superb mentor and a veteran. He strived in bettering himself in every respect, worked hard at everything he ventured into and always succeeded, to enable him in providing for his family. He instilled good morals and ethics in his children, enabling them to succeed in life. He will be greatly missed, but forever remembered in the hearts of those who knew or came in contact with him. Maynard is survived by his wife of sixty-two years – Marlene Robbins of Munising; children – Kristen (Jonathan) Rosenberg of Katy, TX, Scott (Cyndi Spell) Robbins of St. Mary’s, GA, and Craig Robbins of Munising; grandchildren – Zakary, Jacob, and Arielle; siblings – Gary Robbins, Arlene (Dwayne “Picky”) Posont, and Yvone Robbins; and numerous nieces and nephews. He was preceded in death by his parents Emma and Maynard, and sister Cheryl (Don) Sandstrom. Visitation will be on Monday, June 3, 2019 at Eden Lutheran Church from 10:00 until 11:00 a.m. Pastor Ann Gonyea will conduct Maynard’s memorial service at 11:00 a.m. Interment will be at Maple Grove Cemetery where the American Legion and Vietnam Veteran Honor Guard will conduct military honors. In lieu of flowers, memorials in Maynard’s name may be made to the Eden Lutheran Church Youth Group. Maynard’s obituary and online guestbook may be viewed and signed at bower manfuneralhome.net.